The Shenandoah Valley Beekeepers Association is on a mission to save bees. Board member Dorn Peterson used to teach physics at JMU but now he raises the furry insects. He spoke with WMRA’s Chris Boros about his dedication to beekeeping in Harrisonburg and how he got started. This interview was produced by WMRA's Sara Amin. 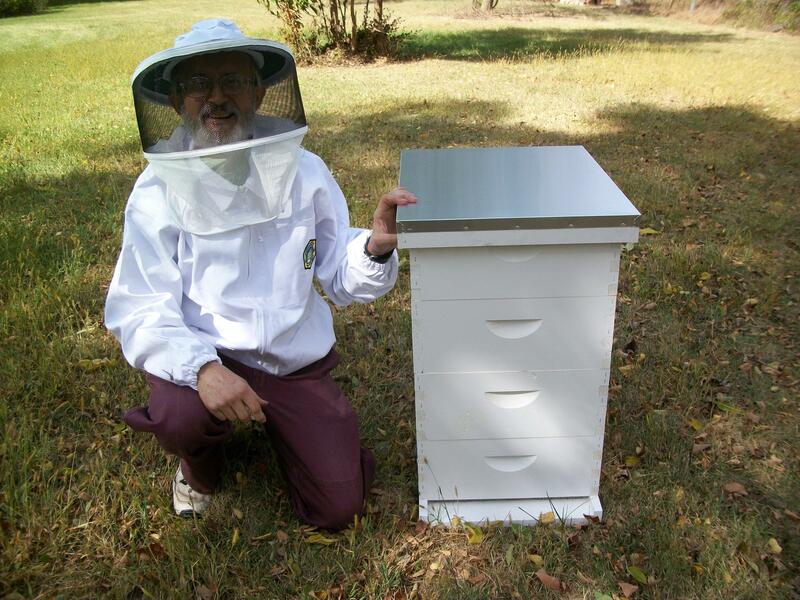 WMRA: How did a physics professor become a beekeeper? Dorn Peterson: Well I retired from JMU, in 2013. Around my house, I have 17 acres of land around the house and the time I’ve lived in Harrisonburg it’s just grown up into trees, scrub trees whatever it was. And I decided I should have some livestock. If you pick rabbits or chickens you have to take care of them and I said to myself I need a livestock and if I want to go on a 2 week vacation, I can just up and leave them alone; Bees. WMRA: Why, how did you get into it? Did you see a beekeeper and went oh I got to do this? Peterson: I had ordered 2 hives but they hadn’t come yet and I had put my name down on a list of bee keepers who are willing to come and gather in swarms and the first call I got was from Lakeview golf course. And they said well we’ve got just in front of our door to our club house and people don’t want to go in and out past these bees, will you come over and collect them? I said sure. And after I had the bees all collected in a temporary hive and put it in the car, one of the golfers came up to me and said “How long have you been doing this?” and of course I’m gray haired for those in the radio audience, and so I assume he’s been thinking I’ve been doing it for a long time, and I looked at my watch and said oh about 20 minutes. (laughter) I literally had no problem being a first-time bee keeper and if people see a swarm, Shenandoah Valley Bee Keepers has a list and you can find a beekeeper within 5 miles or something of your house and be happy to come over pick the swarm up for you. WMRA: A lot of people are afraid of bees? Should we be? Peterson: Well there are relatively rare individuals who are of course allergic to bee stings and some people just react more pronouncedly to the sting I assume. It isn’t particularly painful to me for instance. WMRA: And you’ve been stung probably how many times? Peterson: Lots of times. Yeah well, you’re a beginner as long as you’re keeping track, once you’ve stopped keeping track how many times you’ve been stung, you’re a least an intermediate at that point. WMRA: We’ve been hearing a lot in the news about declining bee population, how serious is that? Peterson: Well for honey bees, it’s not a particularly big problem and the number of hives in the United States has been fairly constant over the last 20 years. WMRA: Are all bee keepers dealing with honey bees? 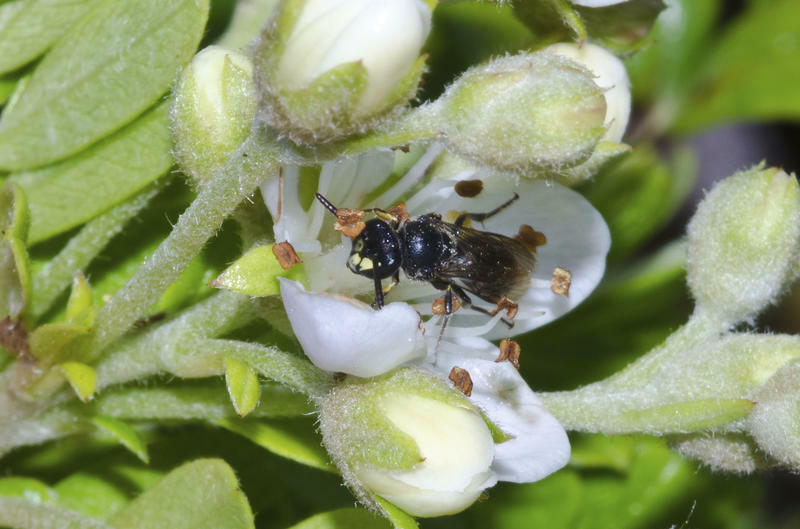 Peterson: Yeah basically, there are lots of native bees. Honey bees aren’t native to the Americas. Peterson: That’s right, as far as I’m concerned yeah… (laughs) When I taught at JMU I was in the physics department and didn’t know any biology at all. It’s been extremely interesting to me to learn the biology of the bees. WMRA: What’s the honey like, can you just take it from the hive and eat it? Peterson: Oh yes, first off you can take out a frame, which will have the comb in it, and you can taste various parts of it. And depending upon which plant they were harvesting at that time, it can actually taste quite different. You get sort of a citrusy flavor in one part and a strawberry sort of flavor in others and then of course when you harvest it all gets mixed together and even then, it has a pretty good flavor. The flavor from the store is just sweet where the locally grown honeys have an extra flavor added to it. WMRA: How can someone get into it? Peterson: Well, at Blue Ridge Community College there is a course and if you’re going to do it you really should take that course. If you’re just trying to raise them without having learned what to do with that, you almost certainly going to lose your bee hives. My first year, I bought two hives, I got three swarms that I caught. I went into the first winter with 5 hives and had four of them survive and I would have been happy if one of them had survived. WMRA: Hm, how does someone ship you bees in the mail? Peterson: It’s pretty amazing, they come in a box. WMRA: Wow, from the post office? WMRA: If there’s one thing you want someone to know about bees or beekeeping, what would it be? Peterson: Just how interesting it is about how all of this works. I mean bees are peculiar in the sense that any female bee in the hive can become the queen and one of the ways that you propagate hives is to take the queen out, and then the rest of the bees in a few hours will start getting angry and they’ll notice that they don’t have a queen and they go looking around. What they have to do is they have to find either an egg that has just been laid, one that has just hatched in the last 24 hours. They will take that egg and they’ll start feeding it what’s called royal jelly and that makes her get bigger and then they’ll have a new queen. Except the problem is they’ll generally raise 4 or 5 or 6 and so what will happen is, the first one to hatch goes around and kills everybody else. WMRA: Well Dorn I can tell you are passionate about this. WMRA: Dorn Peterson is a former physics professor from James Madison University and now a beekeeper in Harrisonburg. Dorn thank you so much. Peterson: Thank you very much. And if anyone is interested, get in touch with Shenandoah Valley Beekeepers. 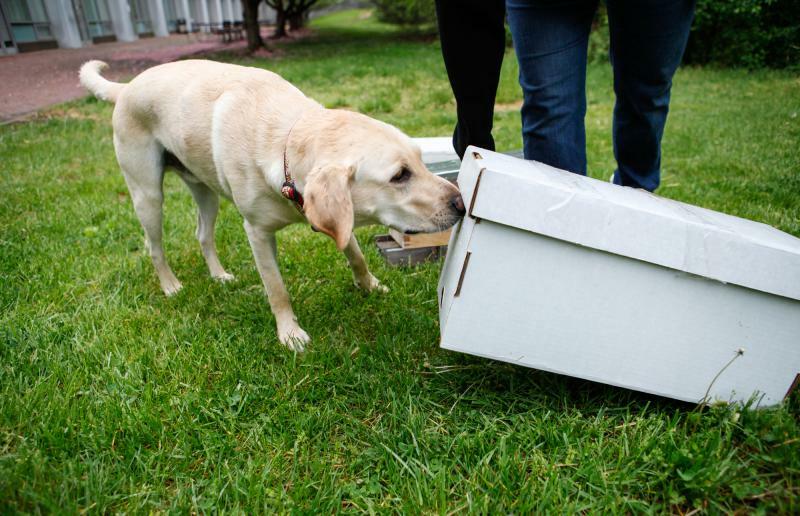 The newest apiary inspector at the Maryland Department of Agriculture has four legs, golden fur and a powerful sniffer. Mack, a 2-year-old yellow Lab, joined the team last fall to help his mom, chief apiary inspector Cybil Preston, inspect beehives for American foulbrood — AFB — a highly contagious bacterial disease that infects honeybee brood and, eventually, kills the colony.